The Assessor maintains the Town’s assessment roll–the document containing each property assessment. The physical description and value estimate of every parcel is kept current. The property inventory is available for inspection by appointment before the filing of the tentative assessment roll. The Assessor performs many other administrative functions, such as inspecting new construction and major improvements to existing structures. 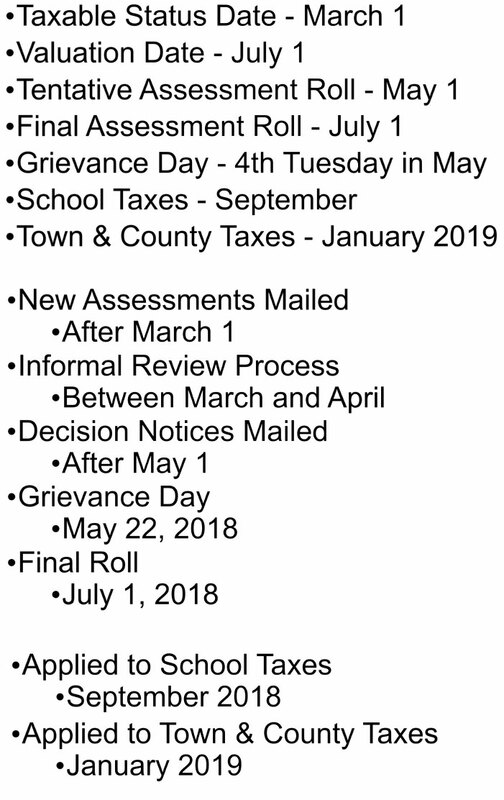 In addition, the Assessor approves and keeps track of property tax exemptions, the most common of which are the senior citizen, School Tax Relief (STAR), veterans, agricultural, and business exemptions.